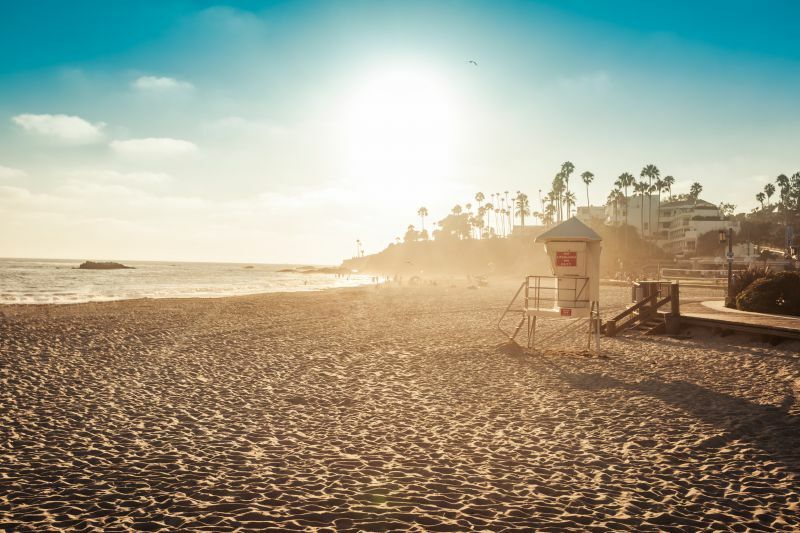 Orange County, California, captures the world’s imagination with its miles of perfect beaches, world-famous theme parks, and year-round glorious weather. Foreign exchange students here can find no better place to experience the ultimate Southern Californian lifestyle. Orange County gets its name from when it was mostly vast groves of Valencia oranges covering thousands of acres. In 1955, the landscape changed forever when Walt Disney opened Disneyland, firmly putting Orange County on the map. It has steadily grown into a must-see destination for tourists and foreign exchange students from all over the world. The popular reality TV series ‘The O.C’ helped bring worldwide attention to Orange County in the early 2000’s, and it has since become one of the most desired locations to visit in California. In this article we are going to show you 5 reasons Orange County is the ultimate foreign exchange student destination. Why Study in Orange County? Orange County has its own unique flavor, as American and international cultures combine with the Southern Californian “surfer lifestyle” to create a laid back, vibrant environment. The year-round Mediterranean-style weather and 42 miles of sandy beaches will leave you feeling as though you are in paradise. When choosing the right foreign exchange student program, there are multiple factors to take into consideration. Firstly, you’ll need to decide what, where and how long you want to study. Visa requirements will also play an important role when choosing the best foreign exchange program for you. With so many different factors influencing your decision, it can be intimidating and confusing to start with. How do I Find a Host Family in Orange County? One of your most important decisions will be choosing where to live while studying in Orange County, your homestay. Ideally, you want to be in an environment that fully immerses you into an American family and maximizes your cultural experience. When choosing your homestay, make sure to use a reputable homestay provider to ensure you have a truly enriching experience. Our comprehensive Homestay Service allows international exchange students select from a variety of homestays in Southern California, helping students find the perfect home. We thoroughly vet all our host families. We provide several training and orientation sessions to provide the knowledge and resources families need to host you. We also stay in constant communication with all our families throughout the student’s stay, as well as provide real-time 24/7 assistance. Orange County has an average temperature of 21°C (70°F)... all year round... sometimes reaching 28°C (82°F) in summer. It also rains very rarely in Orange County, which allows you to enjoy some of the best beaches in the world year-round. With its seven miles of soft sandy beach, Laguna Beach is one of the most famous beaches in Southern California. In addition to excellent surfing, it has many coves and bays, allowing scuba divers the opportunity to explore miles of beautiful corals and exotic sealife. Laguna Beach also hosts months’ long art galleries and festivals, located a stone's throw from great shopping areas and bustling nightlife. There is always something going on at Laguna Beach. Also known as ‘Surf City’, Huntington Beach is the premier location to head out and catch the waves, or grab a surfboard and learn a new hobby. You can even take an evening walk down the longest pier in California (1,850ft) or enjoy a bonfire at this amazing beach. 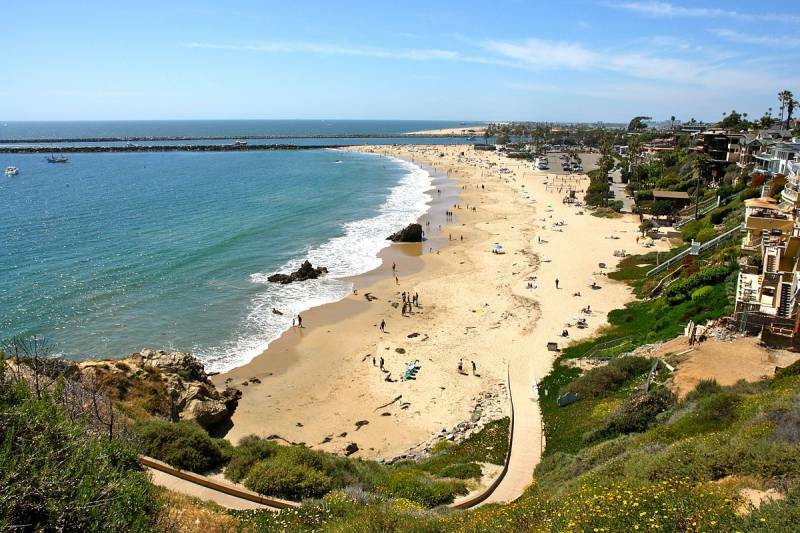 This iconic beach, located in the heart of Orange County, is naturally scenic with miles of perfect beaches and cliffs overlooking the scenery below. It also has a large harbor which plays host to thousands of yachts and beautiful oceanfront homes. Newport Beach also has a famous jetty called ‘The Wedge’, which is a section of the beach that generates waves as high as 9 meters, attracting some of the best bodyboarders in the world. Next to Newport Beach is Balboa Island, an island which is home to unique shops with their own style, designs, fashion and jewelry. You will have to try the world-famous desserts on offer at Balboa Bar and Frozen Banana. They’ve been serving up treats for 75 years, even appearing on the hit TV show ‘Arrested Development’. 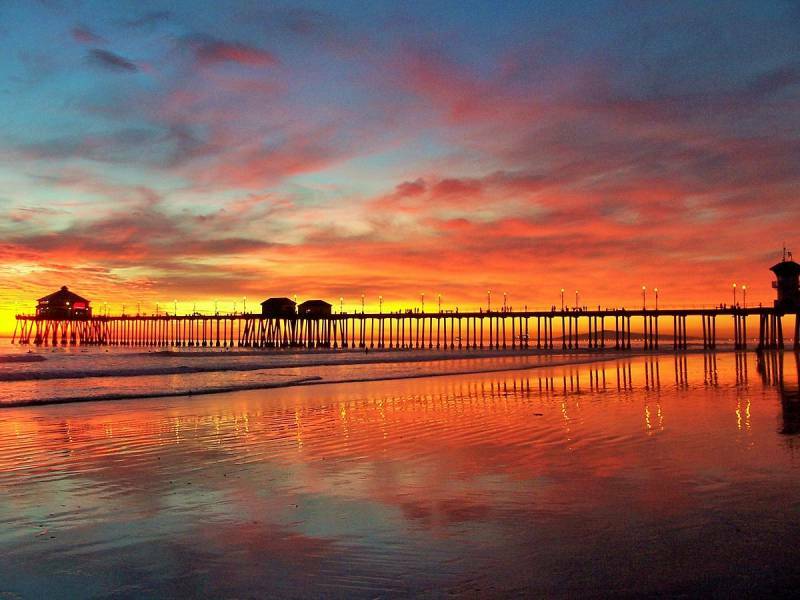 This beautiful oceanside town should not be missed by anybody visiting South California. 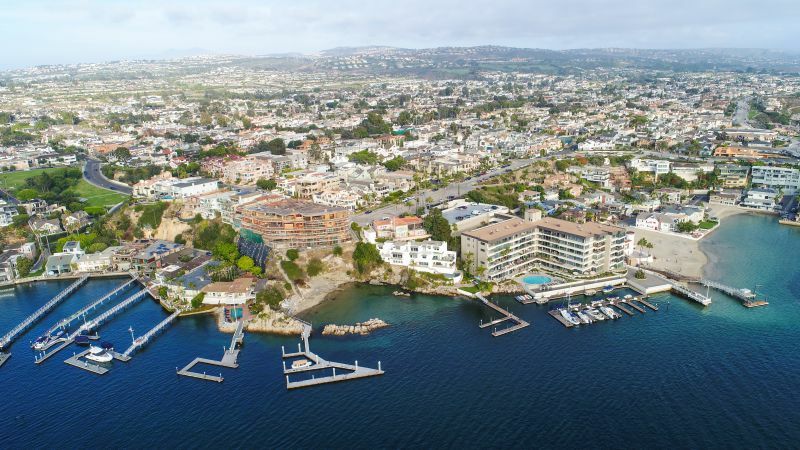 There are four great beaches, access to the harbor, incredible hiking trails and some of the finest restaurants in Orange County. The beaches are perfect for a dip in the ocean, cycling along and learning how to surf. Take an afternoon to go whale spotting and see dolphins and sea lions along the way. While not part of Orange County, San Diego is only 1 - ½ hours away by car or train, boasting 70 miles of glorious coastline and beaches for you to enjoy. It’s also located very close to the US / Mexico border, allowing visitors to crossover for day trips easily. 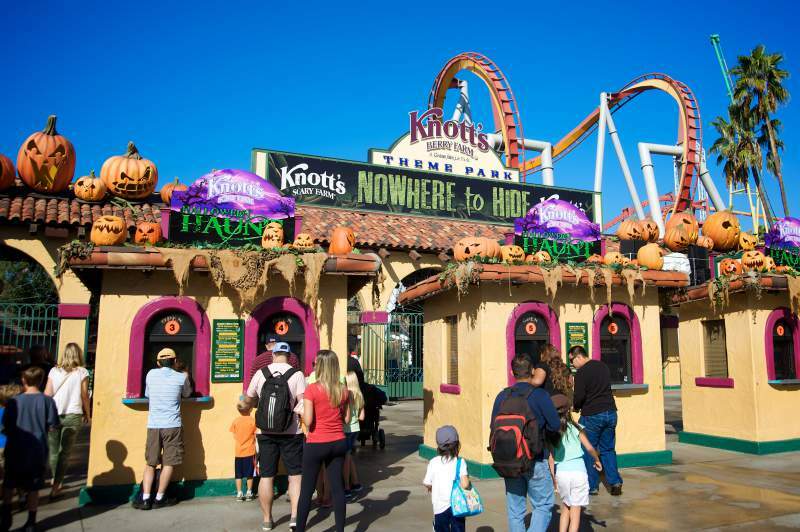 Orange County is home to two of America’s most popular theme parks. Great fun, thrilling rides, Disney characters everywhere, and nightly light parades all add to the magic atmosphere throughout the park. 2019 will see the opening of ‘Galaxy’s Edge’, the world's first Star Wars themed park, a must for any Star Wars fan. This iconic theme park is inspired by the history and culture of the ‘Golden State’. A combination of classic rides, including the largest and fastest wooden roller coaster on the West Coast, and modern attractions like the interactive 4D ‘Voyage to the Iron Reef’ make it a must-do attraction. Founded in 1957, Cal State University, Fullerton is ideally located in the center of Orange County. A highly regarded college with the largest student body in California (over 40,000), there is no shortage of subjects to choose from or activities to immerse in. 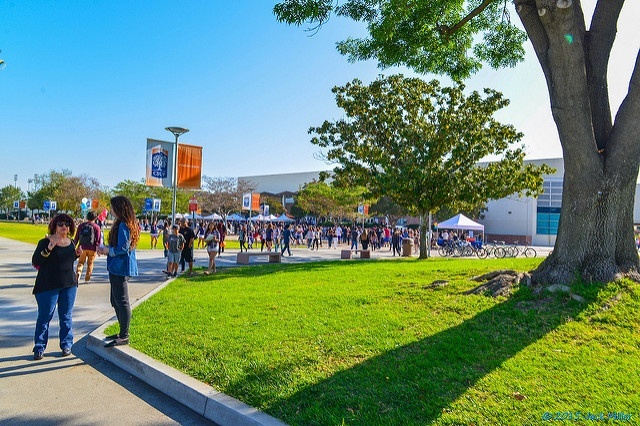 Cal State Fullerton offers over 100 degree courses for you to choose from and over 325 clubs and organizations for you to get involved with... Tailor the perfect college experience for you. In your free time, downtown Fullerton offers a range of cafes and boutiques for you to enjoy. 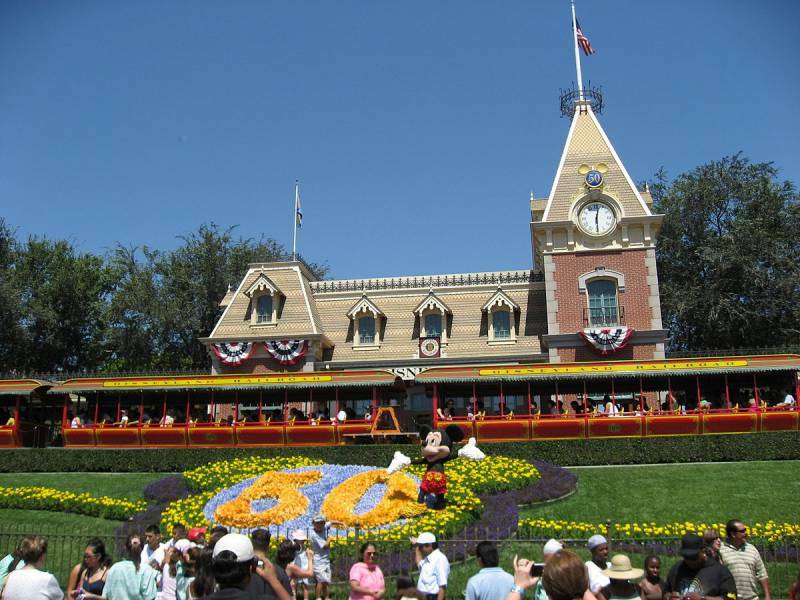 Or take a 15 minute drive to Anaheim and visit the original Disneyland Park. Ranked the third best public university in the United States, UCI offers over 40 academic programs including the sciences, art and medicine. 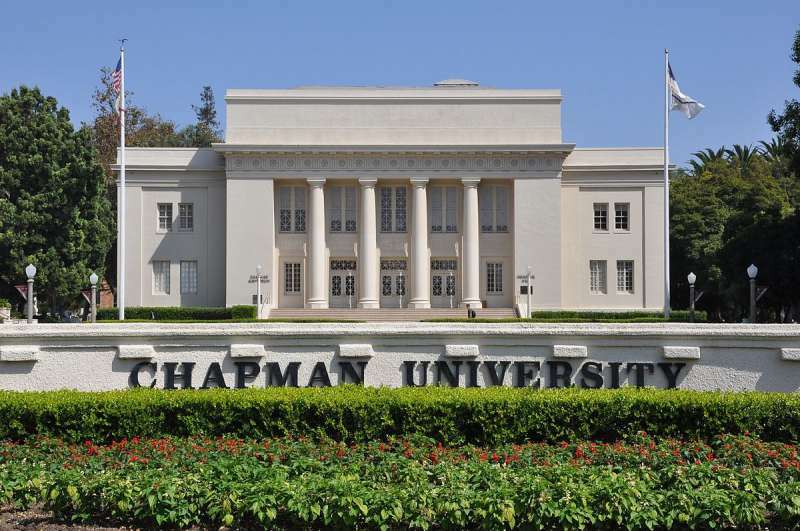 Considered one of the country’s top private universities, Chapman University offers over 110 academic programs to choose from, specializing in law, business, arts and film. Located in the ‘Old Towne’ area of Orange, there is no shortage of things to do with several shops and cafes around. The beach is only a 30 minute drive away, offering the perfect campus location. Orange County has garnered great prestige due to its superior educational institutions and contributions to cutting-edge research. It ranks as one of the safest student friendly locations in the United States, and offers one of the best educational systems for foreign exchange students to choose from. Major League Baseball (MLB) and National League Hockey (NHL) are two of the most popular sports in the U.S, and Anaheim, located near Disneyland, is home to two major sports teams. 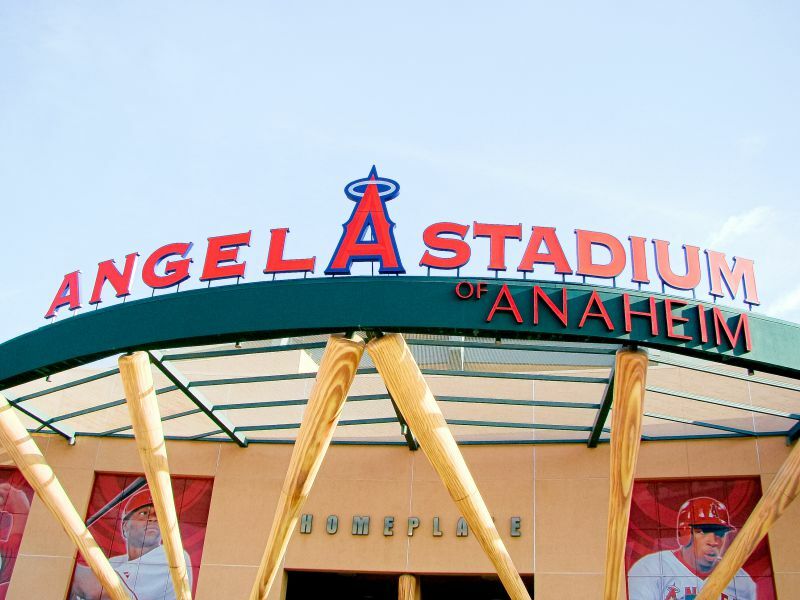 The Angels have have called Anaheim home since the 1960’s and thousands of people pack into the Angel Stadium to cheer their team on and have a great day out. Coming close to major success through the 80’s and 90’s, they went on to win the World Series in 2002, cementing themselves as a major sports team and bringing sense of pride to baseball fans across Orange County. Originally based on the 1992 Disney blockbuster of the same name, the Walt Disney Company founded ‘The Mighty Ducks of Anaheim’ ice hockey team in 1993. After a slow start to life in the National Hockey League (NHL), they found winning ways by reaching the 1997 playoffs. In 2003 they surprised everybody by reaching the Stanley Cup final, marking themselves as a serious NHL team. In 2006 a change of ownership and name came, in 2007 the newly named ‘Anaheim Ducks’ wrote their name in history by winning the Stanley Cup. Today they make a habit out of winning, with five straight division titles from 2013 - 2017. Feel the rush and excitement of live hockey combined with a passionate crowd used to winning. Orange County is home to a wide array of shopping malls, unique boutiques and exclusive designer outlets, all set in the relaxed Californian atmosphere providing the perfect shopping experience. 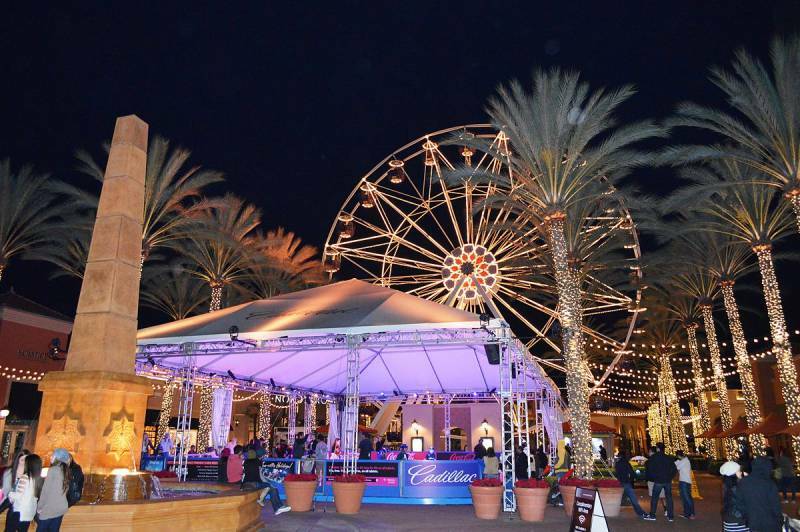 One of South California's most popular shopping, dining and entertainment venues, the Irvine Spectrum has over 130 stores for you to visit, from major outlets to specialty boutiques. Choose from over 35 restaurants when you want a bite to eat or short break from shopping. Take a ride on the 108ft giant wheel, grab a movie at the IMAX or go to the IMPROV comedy club, there is no shortage of entertainment for you to enjoy. For a magical touch head over to the Downtown Disney District. 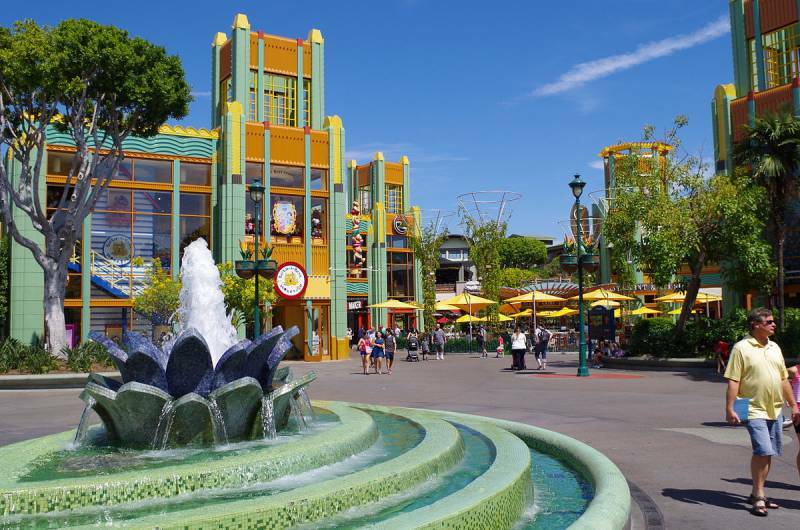 Located adjacent to Disneyland, with a Disney monorail stop within, this outdoor shopping district has an array of unique upscale shops and world class restaurants as you are immersed into the Disney world. Capture your imagination as you visit the LEGO store, go to another galaxy in the Star Wars virtual reality experience or watch the street musicians as you enjoy a coffee at one of the open-air cafes. With New Orleans inspired restaurants to rock ‘n’ roll bowling there is fun to be had on every corner, and no admission fee to pay. This unique open-air center provides plenty of fun and entertainment in between shopping. Over 25 restaurants, and indoor skate park, bowling and a huge AMC 30 movie theater will keep everybody happy. Conveniently located in the middle of Orange County, it is minutes away from Disneyland, Angels Stadium, and the Anaheim Convention Center. In the heart of Newport Beach lies Fashion Island, a must-see for any passionate fashion follower. World renowned retailers such as Nordstrom, Bloomingdales and Orange County’s only Neiman Marcus with its collection of designer labels adorn the center. There are over 60 unique boutiques which can only be found here, if you are looking for exclusivity, look no further. Immersing into a different education system and culture will broaden your perspective and give you a wider reaching understanding, and there’s no place better to do that than in Orange County, California. Get in touch with us today, we are excited to guide you through studying in Orange County.